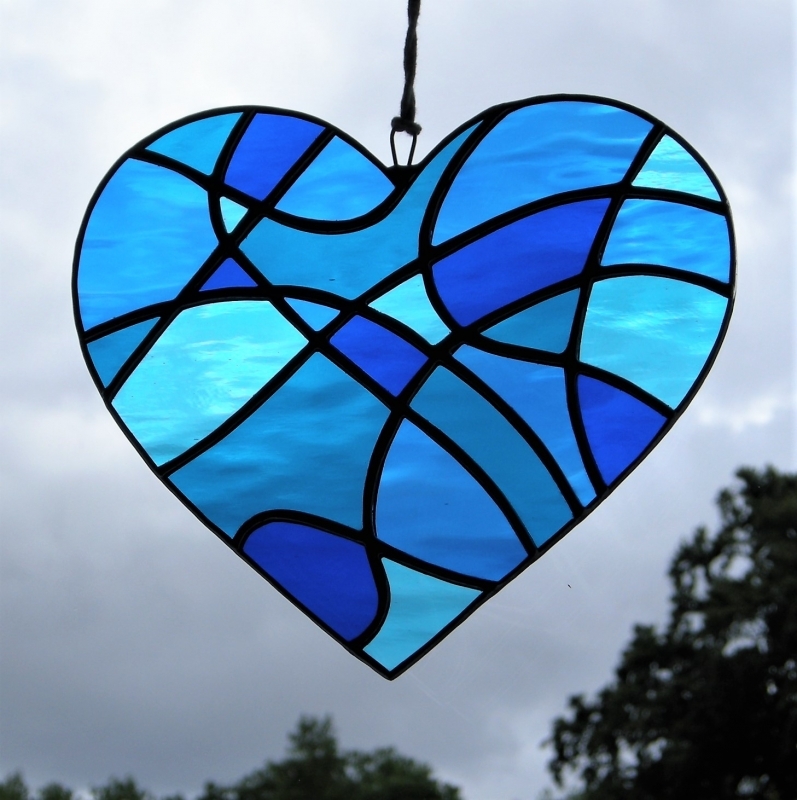 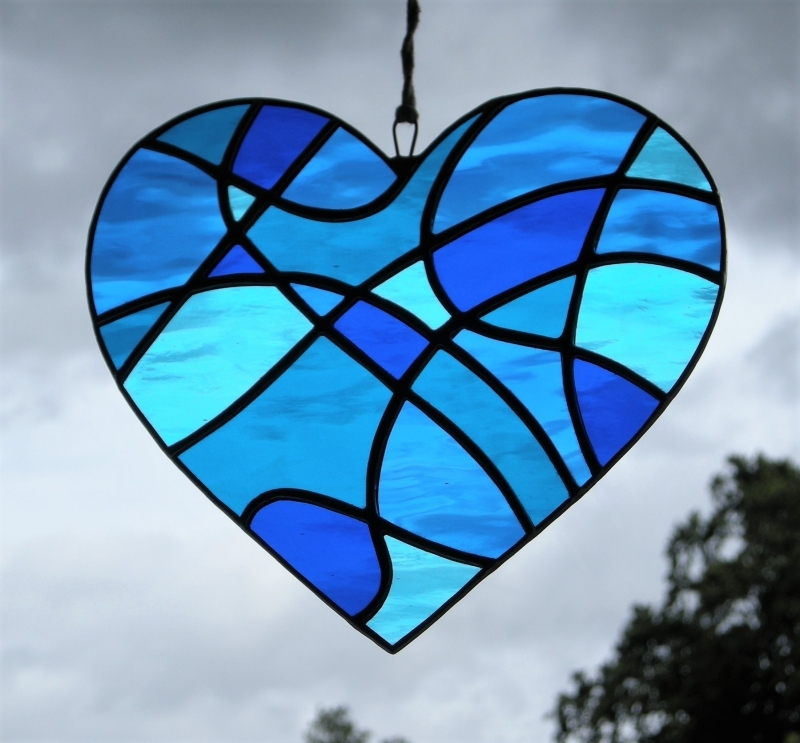 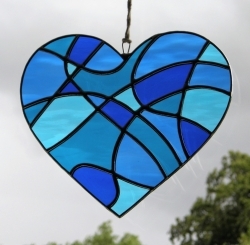 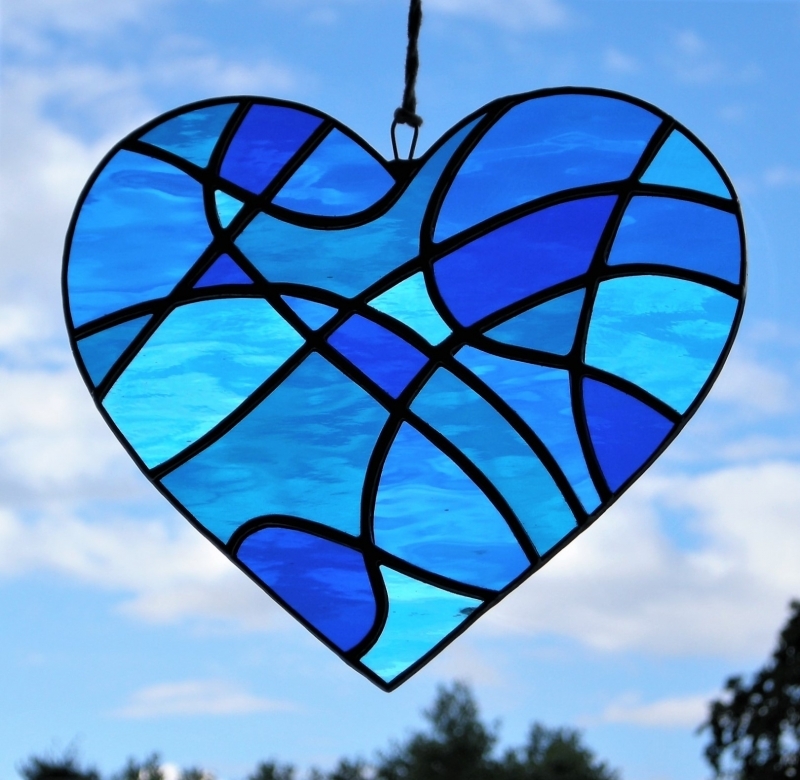 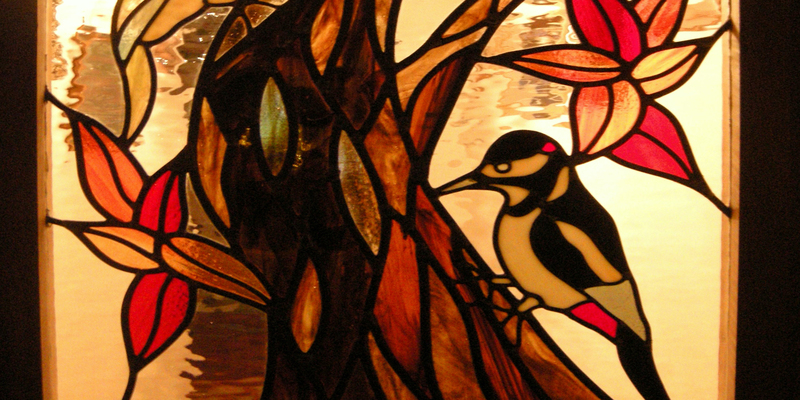 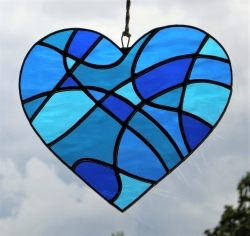 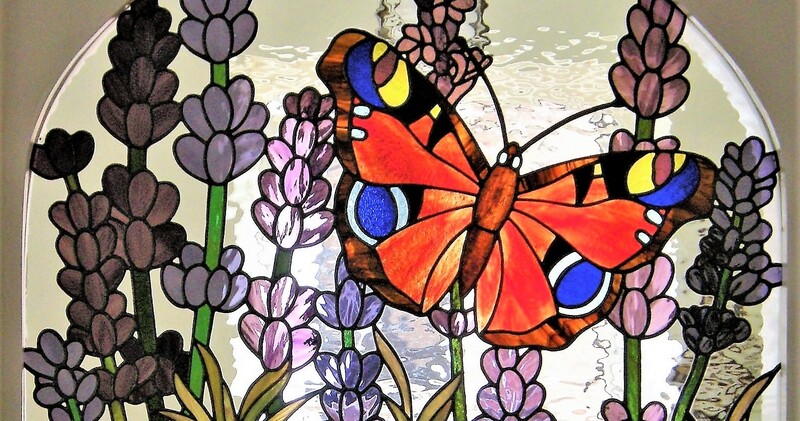 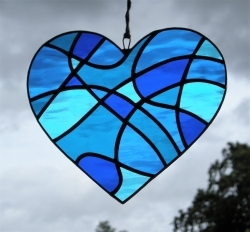 SOLD........This beautiful abstract stained glass "Love Heart" design is constructed using the copper foiling method with a mixture of glass colours and textures (in this piece is a selection of sky blue, medium blue, cobalt blue and aqua blue rippled water glass, slightly seeded). This abstract Love Heart measures approximately 18cm (7 inches) in height and 20cm (8 inches) in width. 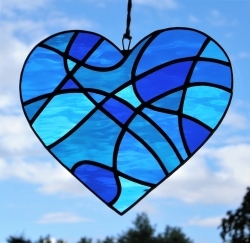 A loop has been soldered on the top of the heart ready to hang using some strong string, fishing line, chain, or something similar with strength.